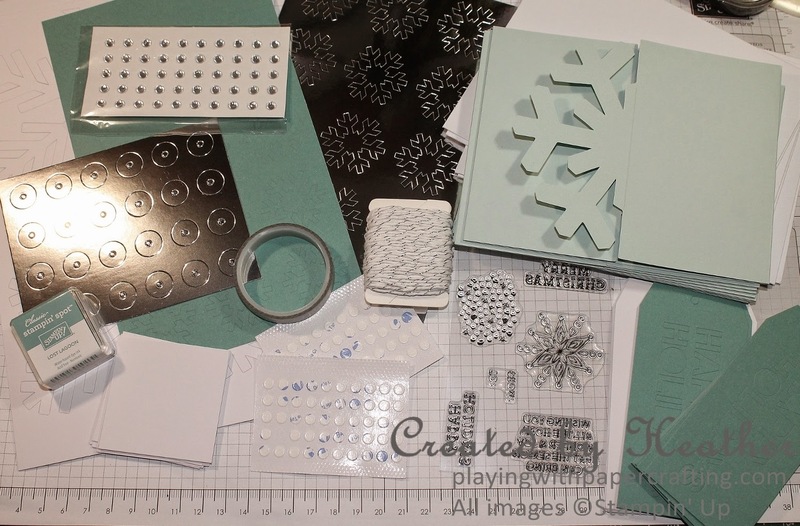 Playing with Papercrafting: November Paper Pumpkin Fun! Perfect Christmas Gifts! November Paper Pumpkin Fun! Perfect Christmas Gifts! What fun! 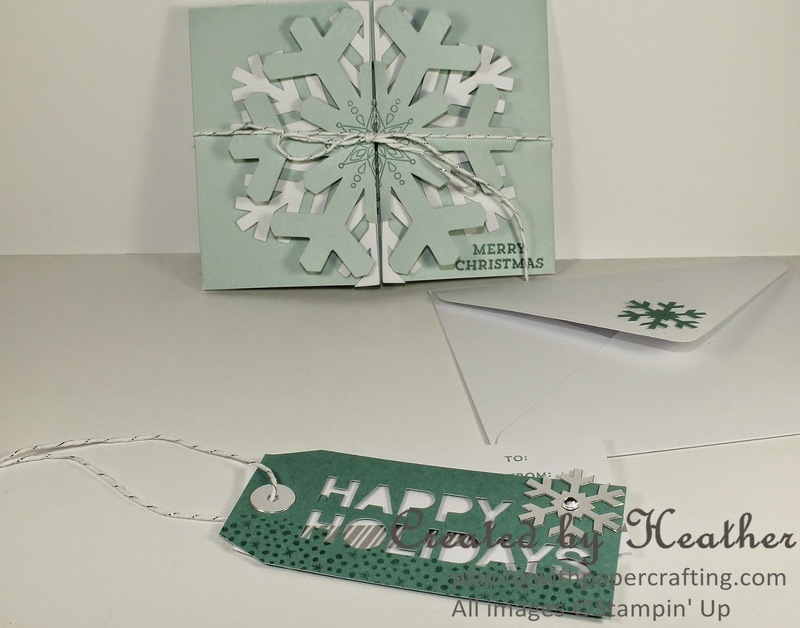 There is enough in the kit for a dozen cards as you see above and 12 or 24 tags depending on whether you put two together or use them separately! 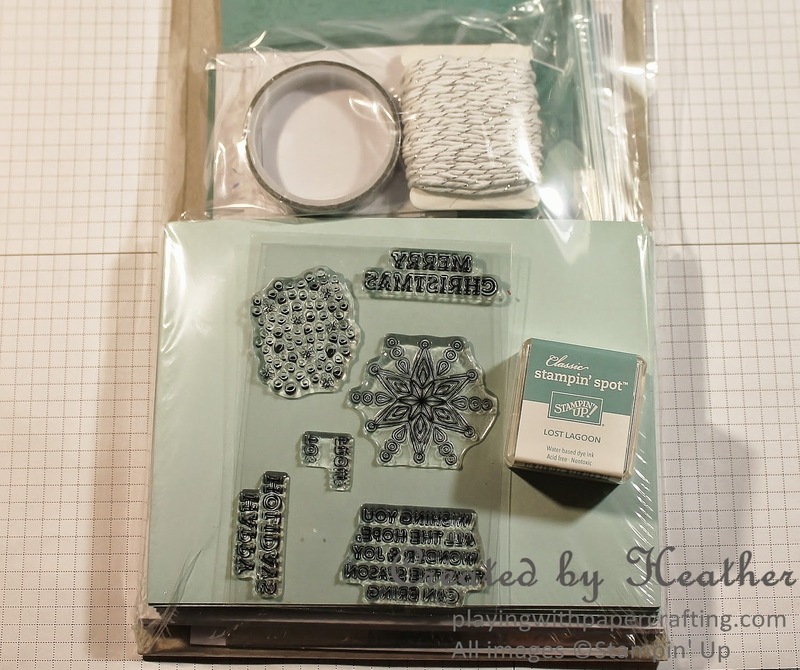 Envelopes, Washi Tape and Baker's Twine and Adhesive dots are included as are the photopolymer stamps and the Lost Lagoon Stampin' Spot (mini stamp pad). 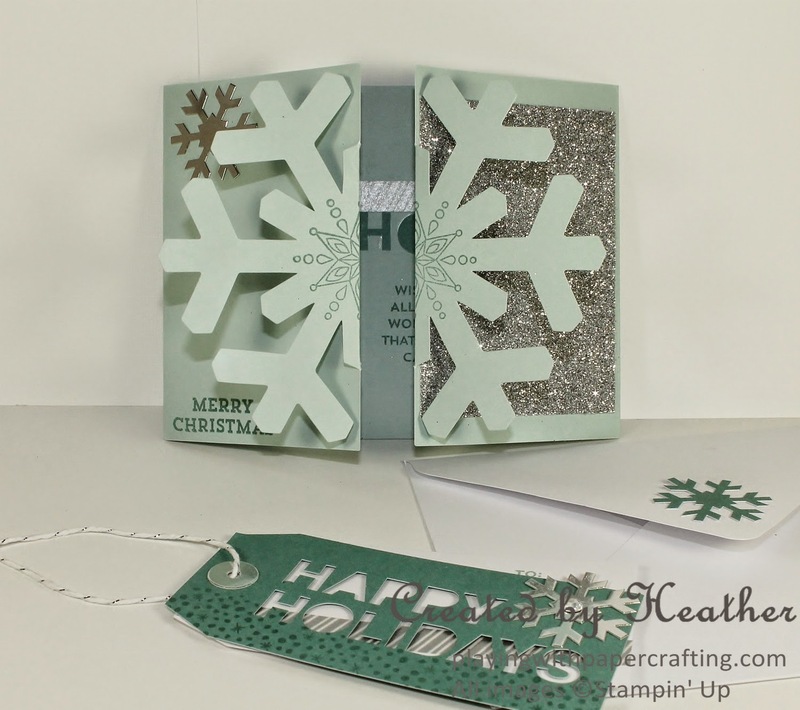 As you can see, I used the punched out letters from the tag to create an inside greeting in the card. You get a lot of stuff for $24.95! 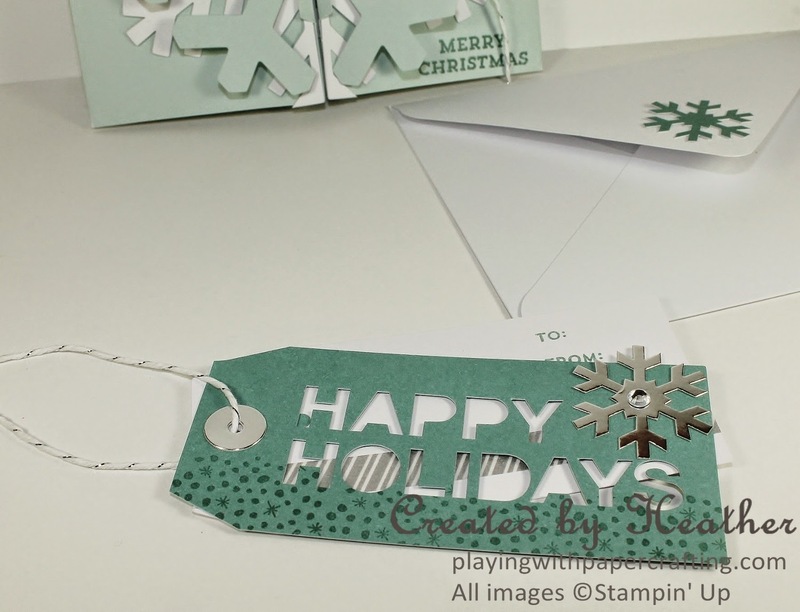 I charge $30 for a Stamper's Dozen Class and you get 12 cards, 3 each of 4 designs. 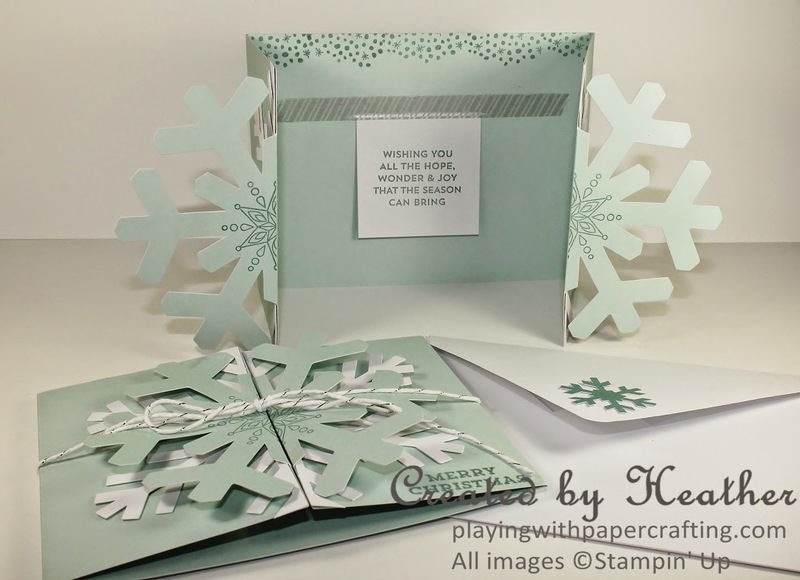 With this Paper Pumpkin kit, you get 12 cards and 12 - 24 tags for less! Paper Pumpkin is one heck of a deal and perfect for the person who loves crafting, but doesn't have room for a lot of supplies and tools and/or doesn't have a lot of time. Did you know that you can prepay subscriptions? It makes the perfect gift! Let me know if you are interested.